His Royal Highness Prime Minister Prince Khalifa bin Salman Al-Khalifa stressed the crucial role of culture as a bridge to strengthen interstate relations and bolstering positive cooperation. He made the statement as he attended the Thai Culture and Food Festival, stressing the importance of events and exhibitions in highlighting cultures and civilizations and expanding cooperation. HRH the Premier was received on arrive at the festival by Advisor to the Thai Foreign Minister Chaisiri Anamaran. He toured the festival and the accompanying events, which reflect long-standing Thai history and civilisation. 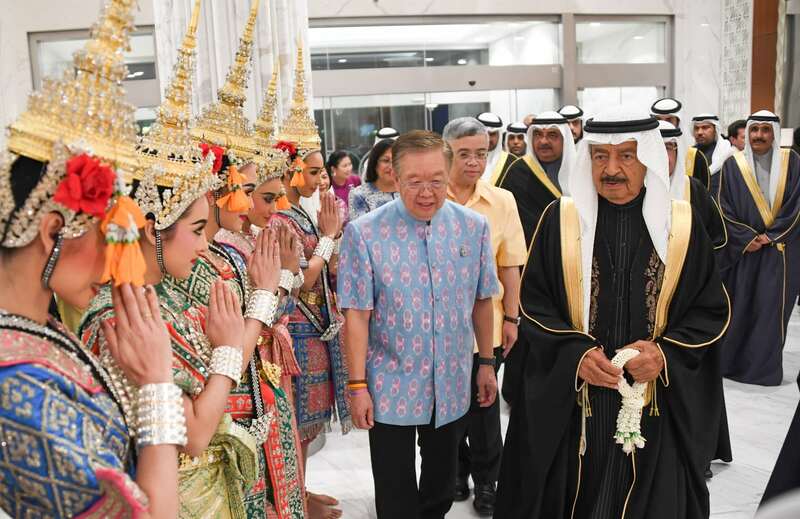 “Bahrain and Thailand boast millennia-old civilizational heritage which represents and enriching asset that contributes to strengthening bilateral relations between the two countries in all fields”, he said. 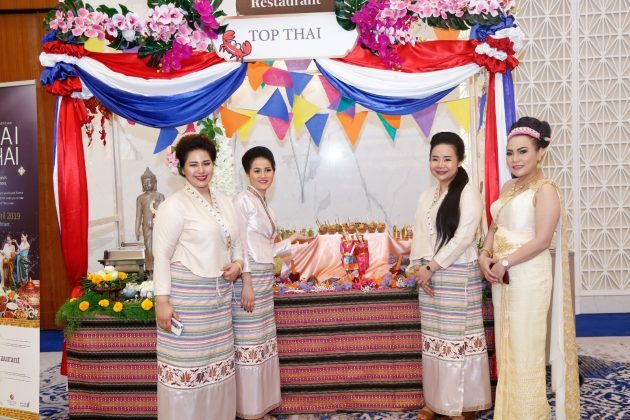 Thai Authority for Tourism Authority of Thailand Middle East held the festival at the Gulf Hotel, in partnership with the Thai Embassy in Manama and Gulf Air. The event featured events reflecting deep-rooted Thai civilization, including culinary art, fashion and folklore. The Premier hailed strong historic relations binding the two friendly countries and peoples, commending the event which represents a facet of cultural cooperation between the two friendly countries. He hailed the events line-up for the festival, reflecting deep-rooted Thai civilization, thanking the organizers of the festival and the participants for their efforts to ensure the success of the cultural event. He wished Thai leaders, Government and people development and progress. Thai ambassador HE Thanis Na Songkhla paid tribute to HRH the Premier for gracing the festival, hailing his support to further consolidate joint cooperation. “The Premier’s dedicated efforts contribute to strengthening bilateral relations in all fields, which serves shared interests and meet the aspirations of the two friendly countries and peoples”, he said.